Now accepting all major credit cards! Prices are subject to change without notice. ALL PRICES INCLUDE TAX! Our burger and hot dog fixin’s bar is located outside the concession stand. 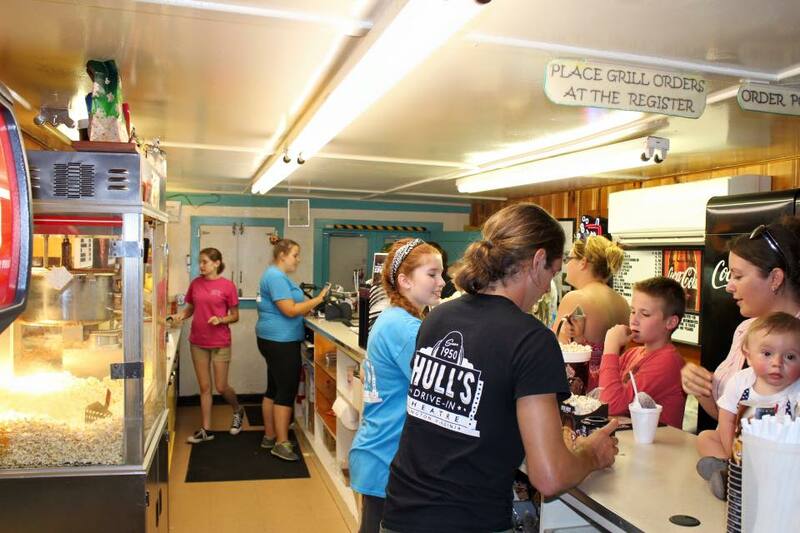 As a non-profit, community-owned drive-in, we wish to keep our prices as low as possible, we would greatly appreciate if our guests would please consider purchasing their food and snacks from our concession stand first instead of bringing outside food to the drive-in. Thank you from your friends at Hull’s Drive-In! Check out our Angel Booth table outside the concession stand for glow toys, Hull’s T-Shirts and other fun novelties!